Montauk has more hotels and motels than any other Suffolk County destination. Some are small family owned establishments, others luxury resorts. Now that the summer season is over, many hotels and motels offer off-season specials. Check with each hotel for off-season rates and promotions. Montauk’s season is generally defined as the last weekend in June to Labor Day weekend. However, most businesses begin to open in April and May, and many do not close until November or December. 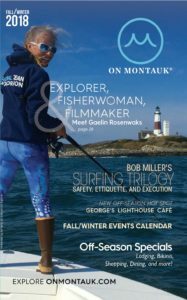 For information about lodging, select an area of Montauk listed in the main navigation. All hotels, motels, and B&B’s in that area are listed. Download the Montauk map to view the location of these areas in Montauk.